There has been feedback that EthMagicians / this forum represent a particular stakeholder group in the Ethereum ecosystem. @lrettig @theflyinghutch @haydenzadams @fubuloubu @bmann @phildaian @koeppelmann @ameensol @gakonst @_prestwich @badcryptobitch @izqui9 @MarkBeylin @hudsonjameson look. lemme just say it bluntly. ethereum magicians are a bunch of hippie-genius-nerds and the broader ethereum community drives for uber, teaches 7th graders, and sells houses to newly weds. (im using hyperbolic generalizations to make a point) but both groups need each other. So, what stakeholder group do you feel you represent? Dapp developer? Core infrastructure developer? Open source contributor? Community Builder? Coin holder? User? Educator? There are no wrong answers, but it may be an interesting exercise. Also, let’s do a poll! How often do you visit the EthMagicians Discourse forum? Dapp developer? Core infrastructure developer? Open source contributor? Community Builder? Coin holder? User? Educator? I think your question misses the point of Scott’s remark. He’s not asking who the Magicians represent. He’s simply stating the obvious fact that the Magicians are merely a minor force within a much broader community. I share his perspective, so let me add a few more remarks. In terms of population size and publicly-perceived legitimacy, I believe the Magicians fall somewhere between the core devs and non-core devs (with some overlap in-between). They seem like a decent civil-minded and technically-oriented forum for the “development community”. However, it should come as no surprise that the devs (and those in auxiliary roles to the devs) are not the totality of the community. The broader Ethereum community of stakeholders also includes users, students, researchers, miners, validators, state actors, organizations, enterprises, business owners, investors, traders, holders, and countless other groups. Basically, anyone who sacrifices their time, energy, or capital for Ethereum is a stakeholder, in my opinion. That point aside, I actually think Ethereum has an absolutely massive global scope. I see it impacting potentially millions to billions of people who have no obvious share, interest, or voice in the present community and ecosystem. They deserve and require representation as well. For this reason alone, I prefer using the far more neutral and inclusive term “public interest” or “global community”; foregoing “stakeholders” entirely, as it implies a rather narrow subset of vested interests. I’m very much against reinforcing the prejudices of certain groups over others. The above is largely why I don’t participate with the Magicians. I don’t think your beliefs, values, and norms are a good proxy for the true global scope of the community. The same could be said for all the back channels around the development community. The devs are a specialized class and they tend to their own unique group mentality. I believe it’s for the best that the community at large keeps a healthy distance from most of you. They require the autonomy to form their own independent standpoints; and yes, even clash with the developers where necessary. The last thing we want is a lazy community that just follows the devs blindly off a cliff; and vice versa. Some spirited conflict here is inevitable. I think I “know” Scott relatively well and get what he was saying, it was just a useful springboard that got me thinking about how participants here self-identify. I believe the Magicians fall somewhere between the core devs and non-core devs (with some overlap in-between). They seem like a decent civil-minded and technically-oriented forum for the “development community”. Great useful description. The legitimacy part is interesting – I know that Greg intended this to be in part what it has become – the long form discussion forum to accompany technical issues around protocol governance from the EIPs process. I don’t think your beliefs, values, and norms are a good proxy for the true global scope of the community. One of the tenets here is people participate as individuals AND that no one speaks “for” the Magicians … because there is no organization to speak for. People take on certain roles or may have control over some assets – eg. I have been Lead Organizer of some events, and I’m one of the sigs on the multi-sig wallet as part of Operations. I do think there are a lot of open source developers here, and there tend to be more implementors shipping various Ethereum adjacent applications (e.g. wallets) or dapps and smart contracts – whereas core client developers work mostly on the core infra and don’t build stuff for end users. So many of the participants here are development “consumers” of the protocol. OK, so maybe I could say that my belief is that standards work and protocol governance is one of the beliefs/values/norms here, as well as a platform for open source “style” collaboration and cooperation. The big take away I have from various recent discussions is whether “someone” should do active outreach. The request seems to be “yes” – but it’s unclear who should do this or how they would be compensated. Do you think people with shared interested from the global community should self-organize to participate in governance directly? Whose responsibility do you think it is to solicit representation from the global community? I believe the Ethereum protocol and ecosystem should be subject to a global decentralized democratic process, which is admittedly impossible currently due to the identity bottleneck. However, I can foresee a time when this will be achievable, e.g. when we have a reliable mesh of interoperable DAOs with the right kind of popular appeal and political culture to support collective network intelligence at scale. I don’t know if we need representation actually. I haven’t ruled out the possibility of a direct democratic system or other emergent grassroots governance scheme. I don’t believe it’s anyone’s responsibility to solicit political leadership. I’d argue that’s more or less contrary to the goals of decentralization. Don’t get me wrong, I don’t think the Magicians are a bad influence. I just think most people are getting a definite “you’re not welcome here vibe” from the dev-oriented fora. With the lack of participation over Reddit, and lack of decent alternatives, there doesn’t seem to be a neutral public space where people can engage as equals. What we seem to have now is a bunch of silos with a mass of disenfranchised people just looking in from the outside. The general community was healthier back in the early days. I hope that changes for the better in the near-term future, but I’m definitely not optimistic. I can help educate people about the technical protocol governance process as I understand it, but anything beyond that we’ll just see what happens. I just think most people are getting a definite “you’re not welcome here vibe” from the dev-oriented fora. With the lack of participation over Reddit, and lack of decent alternatives, there doesn’t seem to be a neutral public space where people can engage as equals. I’d participate if I had enough karma to post, but I don’t, and I refuse to back door my way into getting approved, so as far as I can tell there is no way for newcomers to participate unless they are already heavy Reddit users elsewhere. I feel that Magicians has gotten incredibly misrepresented in the whole governance discussion. The barriers of entry to this group are basically inexistent, you just need to get an account. I am a non-technical person volunteering and organizing, taking part on discussions, and I have never felt outcasted or overwhelmed by the content. I don’t use this forum much, but I will try to use it more. I don’t know exactly what this group is for, but it seems slightly more oriented towards engaging stakeholder developers on the periphery (e.g., outside of Core). It does not seem like a place which really welcomes much discussion about Ethereum as an social / economic network, or ETH as an economic asset- topics many in the community care about. Instead, that discussion occurs in poorly coordinated and noisy ways on forums like Reddit and Twitter. There are many dapp developers and investors, who focus on these dynamics and feel they are critical for Ethereum advocacy and adoption. That is not to say the discussion of those topics is verboten here- I just don’t see it happening here. The work and discussions done in the fields you propose have been done in a way (eg education, integrity, business model rings, etc) - it is less prolific than the more technical/dev-oriented stuff, of course. But it is up to all of us to scale it. This is an open group, and we can have all the discussions we want and a part of the community feels closer and safer in this particular forum. It’s a matter of just onboarding new people and being there for growing this network! Ps. As discussed today on ETHCatHerders, one of the first ideas is actually to have the core dev calls simplified and summarized posted in Magicians (where you can just search for the tag and get the posts) and shared on Reddit as well. We’re just getting started and we need all feedback and hands on deck. Hey welcome! I am also really curious about what you perceive as Magicians values, because we really haven’t defined them, and actually optics matter a lot to work on this. Thanks in advance for your answer. Small Ethereum GPU miner here. Run about 100 GPUs and focus on hardware, IT, and mining within the Ethereum and Crypto system. Welcome to you too! Feel free to use the forum to gather fellow miners, discuss your concerns, put proposals towards the devs, etc. 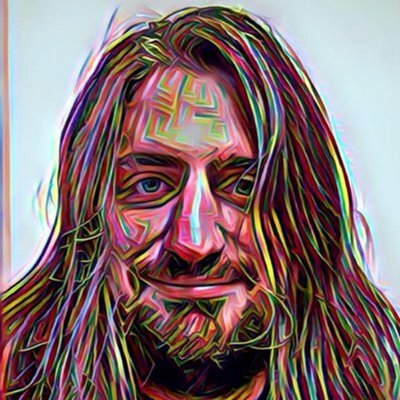 @DCinvestor, the RIngs do tend to collect protocol nerds, client devs, dapp devs, but there is work being done on the issues of education, business, funding, and inclusivity. I agree that social and economic discussions do not happen here as much, same for moral / ethical / philosophical / legal. I believe that efforts such as DGOV, EIP-0, and RadicalXChange are where most of the work will be done. And it really does need to get done! I agree with the Tweet and definitely agree with DCInvestor. I basically agree with everything Introspectre says here. I’m pretty geeky myself and I don’t mind participating here but I do think other groups need to be a part of Ethereum governance decisions and I don’t think we will be able to get many of them here. This is really insightful, @lightuponlight. I would also put pros like UX, UXR, events and community organizers under the crypto nerd contingent. There are groups forming around social good, the arts, and around governance and law, they are a sort of nerd as well. Can you be more specific about the groups of people which you think want to be represented, but don’t or haven’t? And is it useful to group? One suggestion to address @DCinvestor could be creating a Miner and Trader ring. The topic of the ring should be discussion of issues relevant to Governance decisions and normal Miner and Trader talk on the usual channels. Would that allow a voice? So, what stakeholder group do you feel you represent? Yes. All of them. Literally all of them.